Meet Dieter Schlüter. Dieter is the boy in the picture, the stepson of Bernhard Falkenberg, declared Righteous Among the Nations in 1969. In 1942, Dieter was twelve years old, the privileged child of a prominent German working on a massive civil engineering project around the town of Wlodawa, Poland. My uncle Philip was twelve too, but he was a Jew, trying desperately to hide from the Nazis during a vicious Aktzia. The child of a resister, Dieter resisted too, letting Philip hide in the stable behind his family’s home. Dieter saw it all. 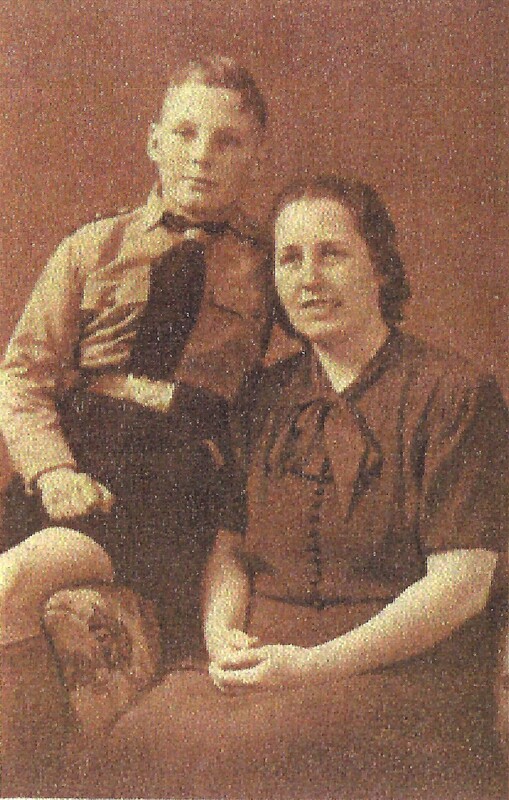 Though he was in boarding school during the school year, Dieter went to Wlodawa to spend his summer vacations with his mother and stepfather, just like any other schoolboy, just in time to witness the Holocaust. Asking no questions, he helped out around the house by bringing food up to thirty people hidden in the attic. My favorite part of this story is how he donned his Hitler Youth uniform and went biking jauntily across the ghetto, his luggage rack carrying a basket of food for his little Jewish girlfriend Lydia, the daughter of his father’s office worker. As a Reich German, Dieter says, no one would stop him. 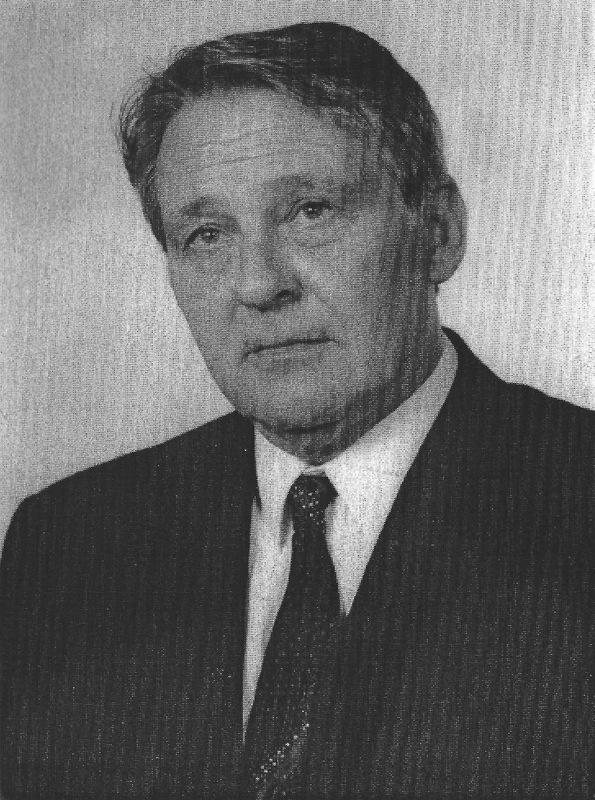 In 1942, Falkenberg was arrested and sent to Mauthausen, where he was imprisoned until the end of the war. Tragically, Dieter’s mother was arrested on the same day, and sent to Gestapo headquarters in Berlin Alexanderplatz. There, she was beaten and tortured so severely that she was never the same. Dieter, too young to arrest, was sent back to a school in Berlin. 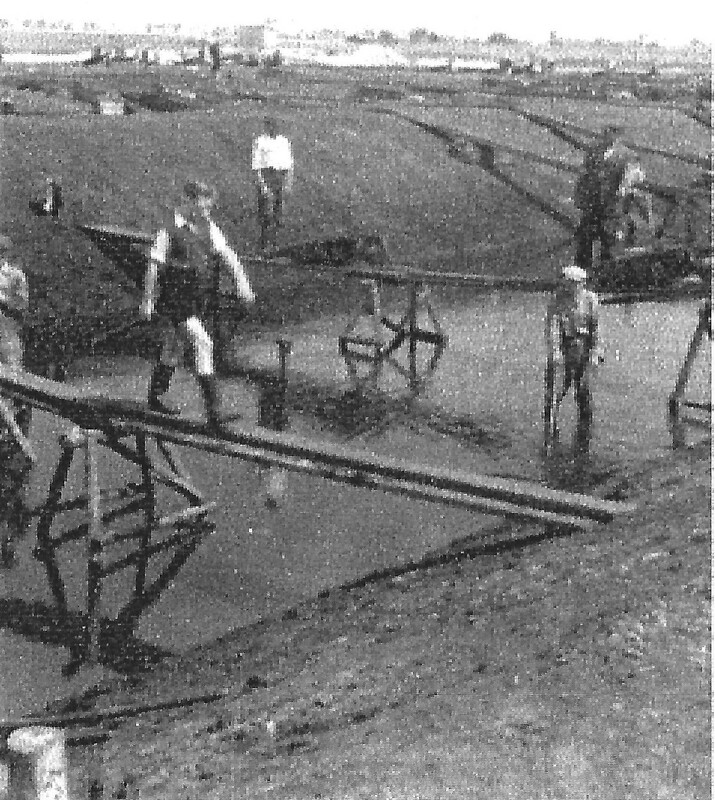 Dieter, running across the scaffolding of his father’s drainage canal. The diggers in the background are Jewish slave workers. By 1945, children and old men were fighting Hitler’s war. Dieter was assiged to an SS unit consisting of a few turncoat Russians, a few Estonians, and a troop of 14-year-old schoolboys. The last days of the war stranded him in Czechoslovakia, where his battle became the struggle to stay ahead of the Russian Army long enough to surrender himself to the Americans. After the war, this non-Jew continued to suffer from the consequences of anti-Semitism. In 1949, he was refused admission to the school he wanted to attend, even though he was among the top five students in his class. Anti-Semitic teachers had learned of his parents’ resistance work. They blocked his academic work and promotion, and later, denied him admission to the state exam. In 1950, he happened to be at a demonstration in front of the Theatre am Kurfürstendamm in Berlin, where hundreds of Jews were protesting the appearance of anti-Semitic actor Werner Krauss. The protesters were arrested and taken away on trucks. When the Jews didn’t get on the trucks fast enough, the police beat them with batons. Dieter was fired from his job when he intervened to stop the beating. Dieter is still consumed by the war. He published a book, Shoah and Fascism, What Have You Done? and wrote a screenplay called Last Stop, Sobibor. He has been trying to tell his family’s story for seventy years. I hope I can help him. I end this post with a poem Dieter wrote in 1955.
and draws it suddenly back. and a painting with delicate contours appears on it. ways of passing the time.